John Reischman brings his incredible musical vision to lead this group of extraordinary players! 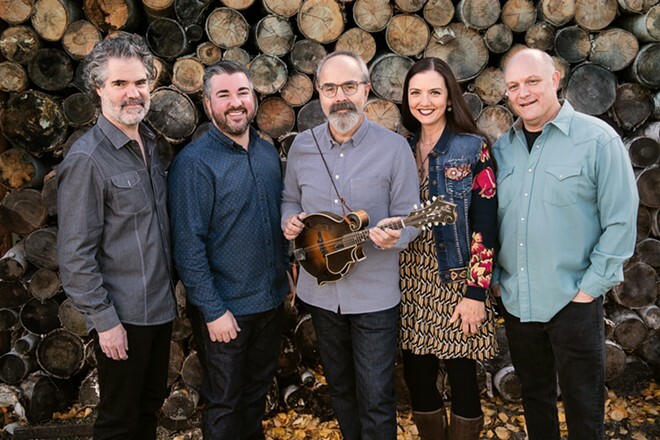 They are typically classified as bluegrass, but they are also so much more – their music includes folk classics and gospel, rich harmonies, and simply great folk Americana played at the highest level. They mix traditional old-time music styles with modern interpretations and original tunes. If you’re familiar with them, you know what a treat they’ll be on our stages. If you’ve never heard them live, get ready for a fantastic show!